Talisman returns for 2018 with another bang dubbed “Semina“, this new tune was cooked by label mate and in-house producer " Ill-Konnect" The song is made from the material of the currently trending "Shaku Shaku" sound and it contains a subtle, but quite easy message to the people which in his words says "semina is more than just a song, it's a feeling of pleasure and good vibes". Also, there'll possibly be a dance step to align with the song. 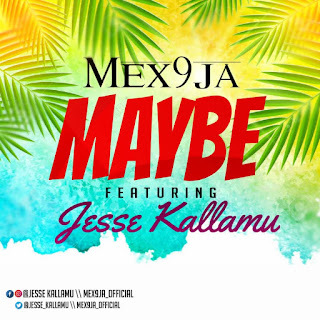 It is a sure street pop hit in the making and its secrets lies in the rhyming slangs, the groovy sound and the associated dance to it. Like the "streets" would say, it is a BANGER!! Mi baby gimme love Onyima! 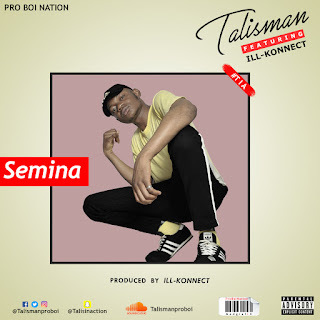 There has been no response to "MUSIC: Talisman - Semina (Prod by Ill-Konnect"